Congratulations, Dr. Pourtaheri for being accepted by the North American Spine Society (NASS) for a podium presentation at the 34th annual meeting this September. 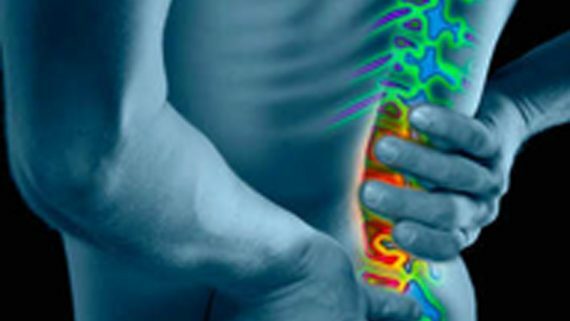 This society, according to their website, “is a global multidisciplinary medical organization dedicated to fostering the highest quality, ethical, value-based and evidence-based spine care through education, research and advocacy.” Dr. Pourtaheri’s presentation “Ending Opioid Addiction Following Spine Surgery” will highlight his commitment and research in this area. Dr. Pourtaheri has clinics in Morgan City and Houma to see patients. Please call 985-868-1540 to schedule your appointment with him. 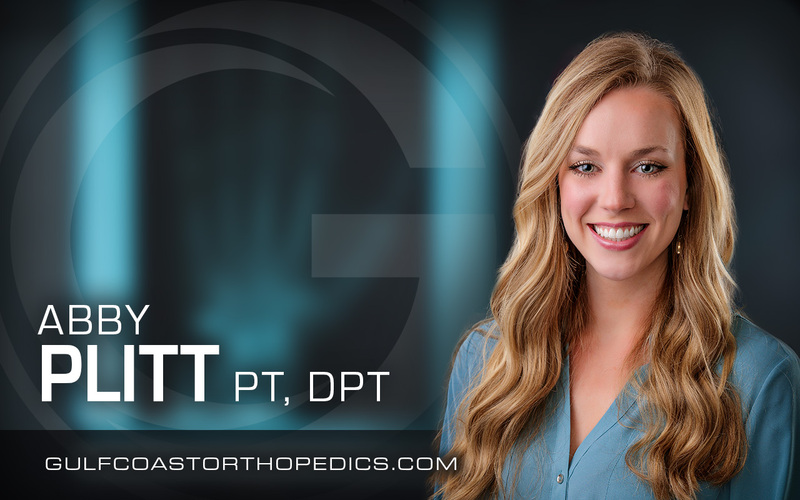 Gulf Coast Orthopedics is pleased to introduce Abby Plitt, PT, DPT as the newest member of our physical therapy team. Abby is a native of Thibodaux, La. She attended ED White and the University of Louisiana Lafayette where she earned a Bachelors degree in Biology. She then earned her Doctorate of Physical Therapy from University of St. Augustine for Health Sciences in St. Augustine, Florida. Abby is a member of the American and Louisiana Physical Therapy Associations. She is passionate about treating sports injuries as well as chronic conditions with a hands-on manual therapy approach. Abby was a volleyball player throughout her high school and college years. She still enjoys playing and coaching volleyball. She also enjoys spending time at her family’s camp in Grand Isle with her husband, Matthew. Abby is available for appointments in our Gulf Coast Physical Therapy Houma location. 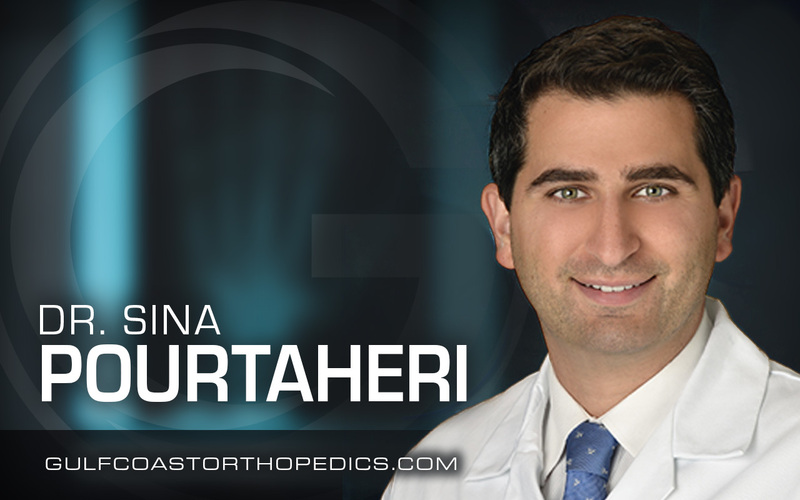 Gulf Coast Orthopedics (GCO) is pleased to announce the arrival of Dr. Sina Pourtaheri, MD. 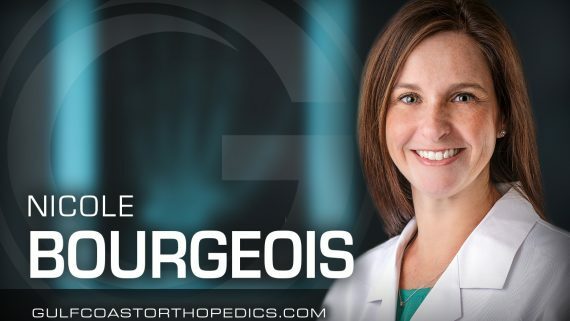 He is a fellowship-trained board-certified orthopedic spine surgeon who is currently seeing patients in our Houma and Morgan City offices. Dr. Pourtaheri is a native of New Orleans. He attended medical school at Tulane University, completed his residency at Seton Hall and his spine fellowship at the Cleveland Clinic. He is passionate about new developments in spine surgery. He has authored over 45 journal articles; 4 book chapters and speaks regularly in the spine surgery circuit. 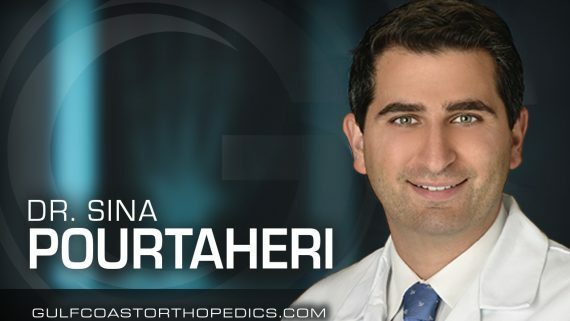 Dr. Pourtaheri was director of the spinal deformity program at UCLA prior to his move to Houma. Dr. Pourtaheri’s interests include: Shotokan Karate, snowboarding, playing the violin and running. He also founded the Tulane medical outreach to Romania program. Please call us today to schedule your appointment with Dr. Pourtaheri. 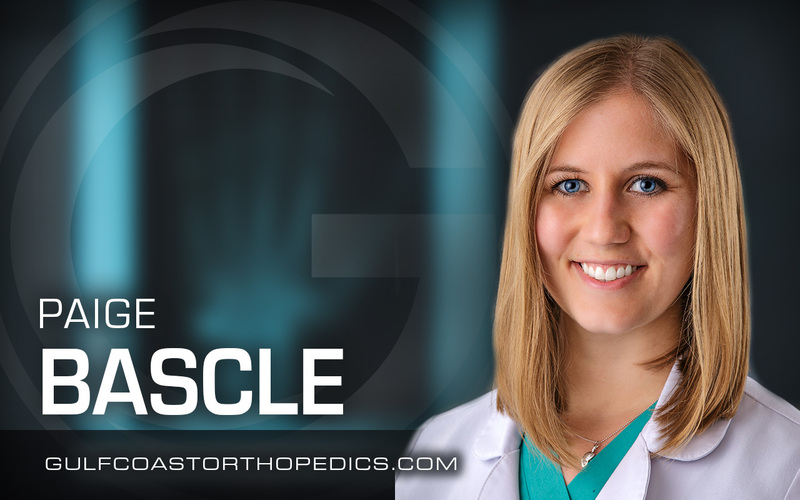 Gulf Coast Orthopedics is pleased to introduce Paige Bascle, FNP-C as the newest member of our team. Paige is a native of Thibodaux, La. She attended ED White and Nicholls State University where she earned her Master of Science in Nursing. Paige is an instrumental part of our surgical patients’ experience. 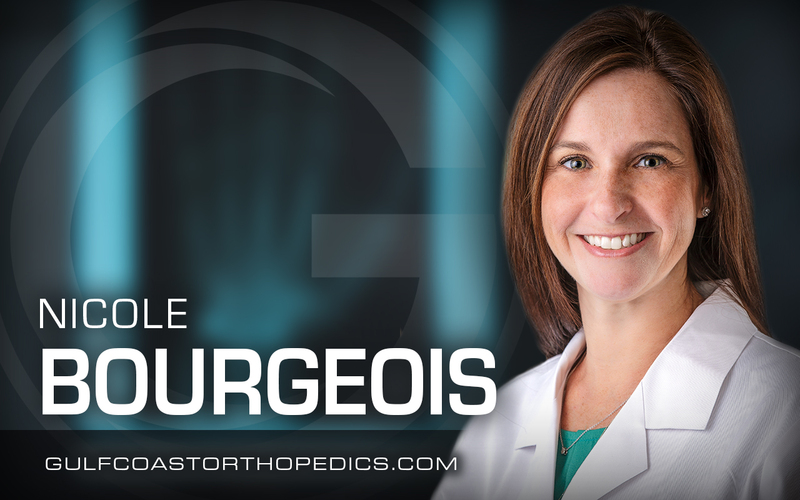 She teaches our total joint replacement education class and follows her patients through the perioperative period. Paige has known that nursing would be her vocation since she was a child. She grew up watching her mom excel as a nurse and that inspired Paige tremendously. 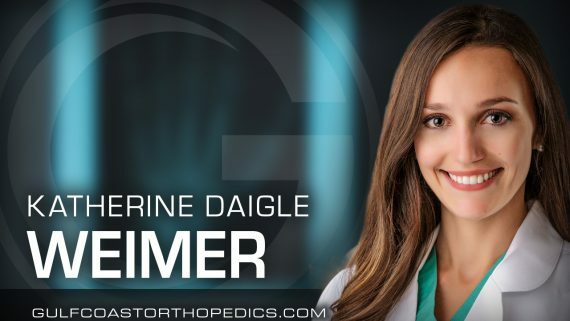 Paige brings with her enthusiasm and extensive orthopedic knowledge which is a great combination. She loves educating our surgical patients and answering any questions they may have. One thing most people don’t know about Paige is that she is a HUGE Bob Seger fan. 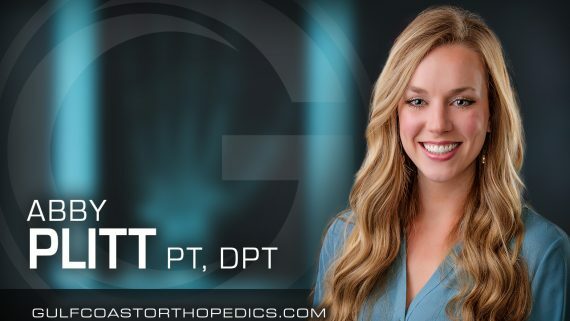 Please call us at Gulf Coast Orthopedics to schedule your appointment to see Paige in our Houma clinic. 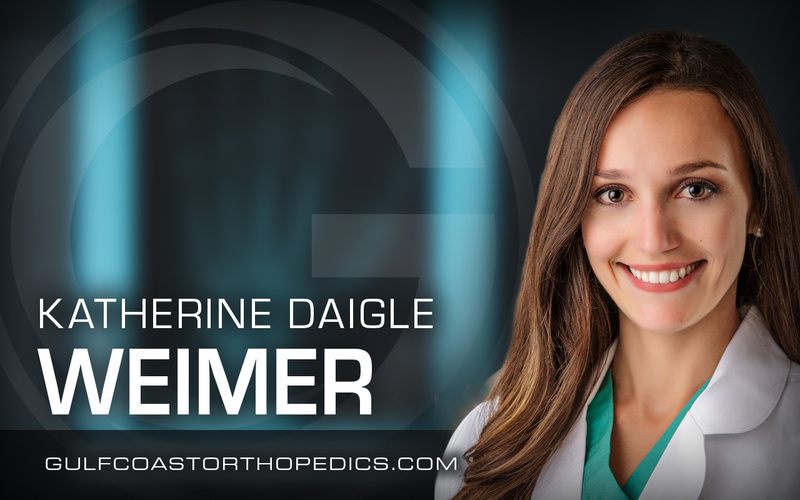 Gulf Coast Orthopedics is pleased to introduce Katherine Daigle Weimer, PA-C as a member of our team. Katherine is a native of Thibodaux, La. She attended ED White, Southeastern Louisiana University and earned her Master of Physician Assistant Studies from LSU-New Orleans. Katherine focuses her practice on orthopedic issues of the shoulder and elbow. Her favorite injury to treat is a rotator cuff injury. Kat says, “I love seeing my patients back at the office after they complete their treatment plan. 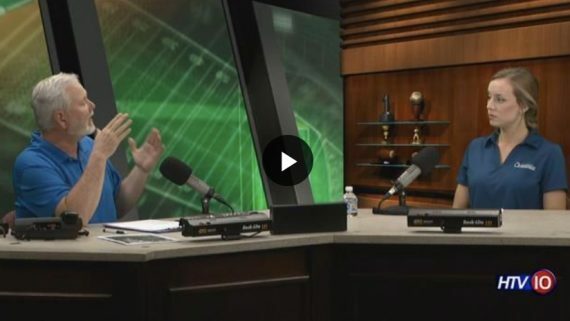 It is very rewarding to be able to help my patients get pain relief.” She resides in Thibodaux with her husband, Jacob and they enjoy traveling. Katherine is available to see patients in our Houma office. Please call us today to schedule your appointment. Gulf Coast Orthopedics is pleased to announce that effective January 1, 2019 we have added an additional orthopedic provider to our Galliano and Raceland clinics. Nicole Bourgeios, PA-C is now available for patient appointments. Nicole comes to our practice with over 10 years of experience in orthopedics. She is available for general orthopedic evaluations, sports physicals, bone health/osteoporosis evaluations. Nicole has been a lifelong resident of Lafourche Parish. She received her undergraduate degree from LSU Baton Rouge and her PA degree from LSU-Shreveport. She lives in Lockport with her husband, Darby, and their sons. 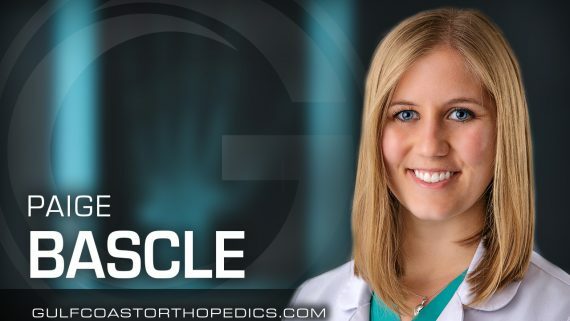 Nicole’s love for orthopedics and caring for her patients is a perfect match. One of the things she enjoys most is seeing her patients at their follow-up appointments and finding them well-pleased with their care and progress. She is motivated by her patients return to wellness. Please call us at 985-868-1540 to schedule your appointment with Nicole. Frozen shoulder, also called adhesive capsulitis, causes pain and stiffness in the shoulder. Over time, the shoulder becomes very hard to move. After a period of worsening symptoms, frozen shoulder tends to get better, although full recovery may take up to 3 years. Physical therapy, with a focus on shoulder flexibility, is the primary treatment recommendation for frozen shoulder. Frozen shoulder most commonly affects people between the ages of 40 and 60, and occurs in women more often than men. In addition, people with diabetes are at an increased risk for developing frozen shoulder. In frozen shoulder, the shoulder capsule thickens and becomes stiff and tight. Thick bands of tissue — called adhesions — develop. In many cases, there is less synovial fluid in the joint. The hallmark signs of this condition are severe pain and being unable to move your shoulder — either on your own or with the help of someone else. Frozen shoulder generally gets better over time, although it may take up to 3 years. 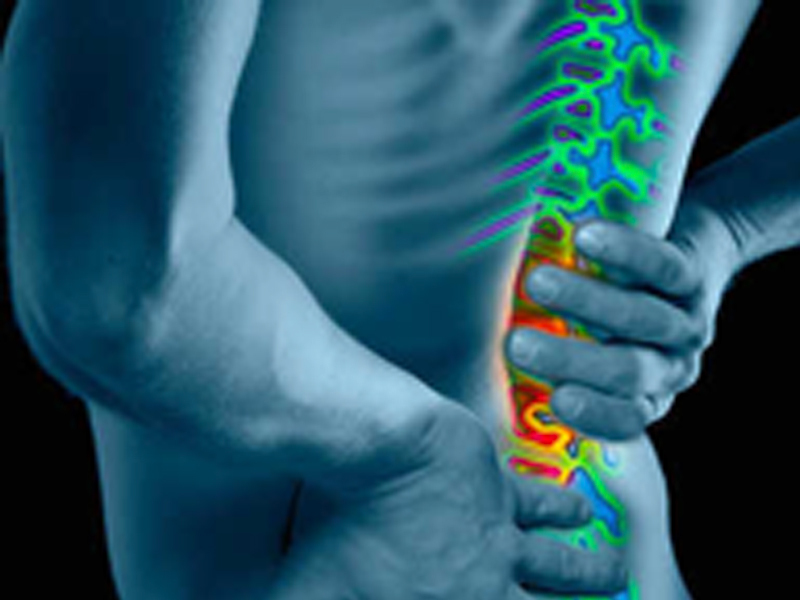 The focus of treatment is to control pain and restore motion and strength through physical therapy.